For this summer, choose from a wide range of attractive price cottages: Standard or air-conditioned, high-end or without sanitary, couple or family… You will surely find your holiday rental corresponding to your budget!! And to liven up your holiday, you can count on a team of animators ready to entertain you all summer! 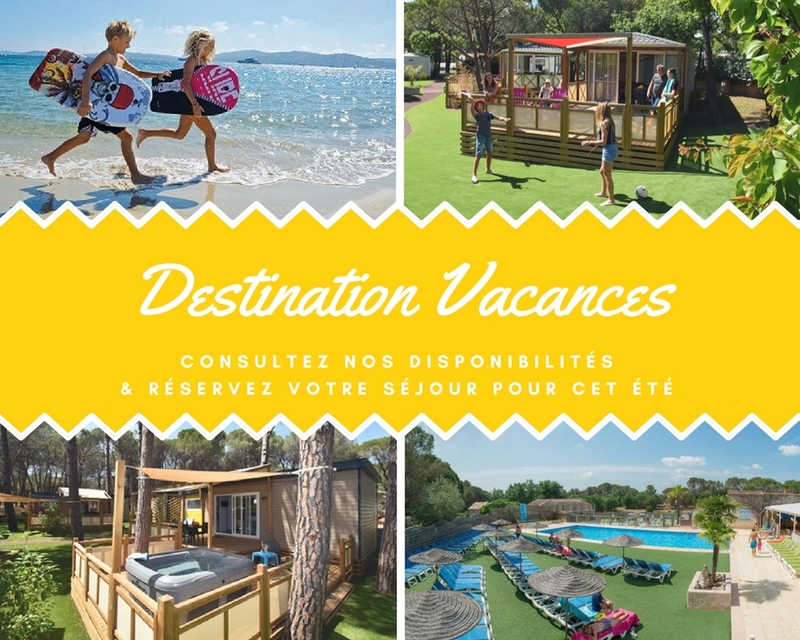 For a successful family holiday, join us at YellohVillage la Bastiane in Puget sur Argens. At 7kms from the beaches of Fréjus and Saint Raphael, you will appreciate the quietness of the site. In the heart of nature, cradled by the song of cicadas, we offer you a wide range of cottages. The hardest will be to chose....il is still time to book for the summer holidays! Check all our online availabilities and book without further delay.